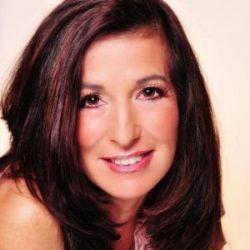 Gigi Stetler, Entrepreneur, Author, Survivor. She is Unstoppable! As an accomplished business woman, entrepreneur, author and equestrian, Gigi Stetler has become an inspiration to women everywhere – but her journey wasn’t easy. As a single mother, she became queen of the male-dominated RV industry and entirely redefined its business climate. Since then, she has continued to succeed in many fields with her signature unstoppable determination. Her book, Unstoppable, reads like a bestseller, replete with plot twists, shady characters, and a heroine with many layers. A father-figure mentor who gave Gigi her first opportunity but later stabbed her in the back, an attacker who literally stabbed her 21 times and left her for dead, and success in an industry that conspired to keep her out. In every instance, Gigi was knocked down, brushed herself off, and came back stronger than ever. Most recently, Gigi has entered the restaurant business, and is now the owner of Hop Won Dinner Club & Skinny Bar, a popular Asian fusion restaurant in Davie, Florida. Gigi even turned her love of horseback riding into a business venture when she created Riding in Style, an equestrian summer camp whose brand has now expanded to include riding apparel, complete with the Riding in Style and Unstoppable insignias. Click here to visit Gigi Stetler’s website. https://www.globalbusinessnews.net/wp-content/uploads/2015/09/Gigi-Stetler.jpg 250 250 Ed https://www.globalbusinessnews.net/wp-content/uploads/2019/04/Global-Panorama-for-Ed-4-6-2019.png Ed2015-09-28 21:37:102016-12-11 12:33:49Gigi Stetler, Entrepreneur, Author, Survivor. She is Unstoppable!